A fun, family-friendly casual, slightly sports bar-ish atmosphere. Easily able to host sit-down parties up to 100 and cocktail parties to 200 people. 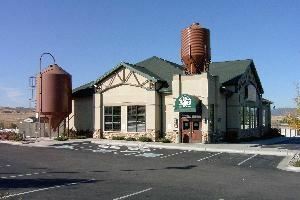 We are a brewpub and brew our award-winning beers right on site. We've won over 50 peoples choice, state, national and international awards. Stop by and see our medal case near the front door! You can also purchase our beer to take home with you or buy it at several liquor stores and restaurants around the Colorado Front Range. Yum! Special Features: The semi-private "Pool Room" can comfortably seat 30 or 45 standing. The lounge seats 70. The dining room seats 110 in a combination of fixed booths and movable tables. The patio seats 32 or 50 standing.